Whilst scholarship has increasingly moved to consider mixedness and the experiences of mixed-race people, there has been a notable lack of attention to the specific experiences of mixed-race men. This is despite growing recognition of the particular ways race and gender intersect. By centring the accounts of Black mixed-race men in the United Kingdom and United States, this book offers a timely intervention that extends the theoretical terrain of race and ethnicity scholarship and of studies of gender and masculinities. As it treads new and important ground, this book draws upon theories of performativity and hybridity in order to understand how Black mixed-race men constitute and reconstitute complex and multiplicitous identities. ‘Post-racial’ conditions mean that Black mixed-race men engage in such processes in a context where the significance of race and racism is rendered invisible and denied. 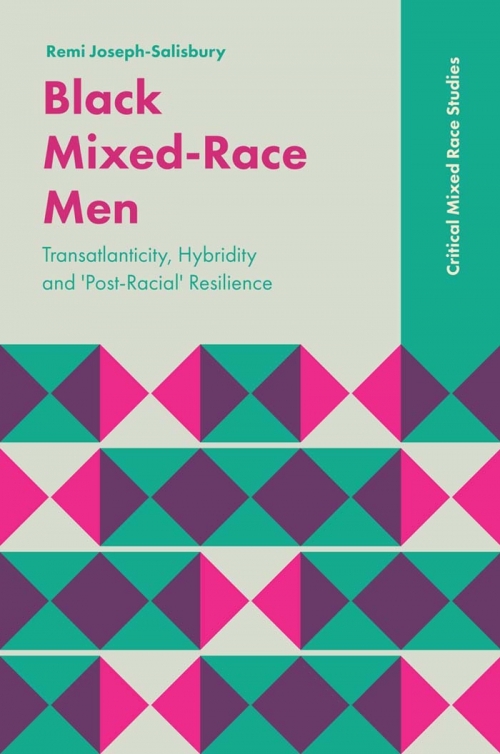 By introducing the theoretical concept of ‘post-racial’ resilience, this study strives to capture and celebrate the contemporary, creative and innovative ways in which Black mixed-race men refuse the fragmentation and erasure of their identities. As it does so, the author offers a corrective to popular representations that have too readily pathologized Black mixed-race men. Focusing on the everyday through a discussion of Black mixed-race men’s racial symbolism, experiences of racial microaggressions, and interactions with peers, Black Mixed-Race Men: Transatlanticity, Hybridity and Post-Racial Resilience offers an in-depth insight into a previously neglected area of scholarship. This article draws upon data from semi-structured interviews conducted with black mixed-race males in the UK and the US, to argue that a revival of the black supplementary school movement could play an important role in the education of black mixed-race males. The article contends that a strong identification with blackness, and a concomitant rejection of the values of mainstream schooling, make black supplementary education a viable intervention for raising the attainment and improving the experiences of black mixed-race males. Whilst blackness was important to participants’ understandings of their lived experiences, this did not engender a disregard for their mixedness. Supplementary schools must therefore find ways of recognising black mixedness within their practice. In a seemingly fear-fuelled attempt to halt the rapidly growing popularity of Bernie Sanders, Hillary Clinton has once more turned to her husband – her “secret weapon” – to move along the discussion. Except it’s all gone terribly wrong. At a rally in Memphis on Friday, Bill Clinton demonstrated his ineptitude in offering any meaningful contribution to political debates about racial equality when he argued that “we are all mixed-race people”. This comment – an attempt to downplay the significance of race – represents a lack of respect towards, and disregard for, the lives of people of colour living in the United States. Are you a biracial male of black and white parentage? Are you aged between 16 and 21 and went to school in the U.S.? Would you like to take part in a discussion group or one-to-one interview considering the educational experiences of black/white biracial males? Interviews can be conducted in person (I will be situated in Pennsylvania), using Skype, E-mail or an Instant Messaging program. Participants will be offered a $15 gift voucher as a thank you for their participation. To take part or for an informal chat about the project, please contact me, Remi Joseph-Salisbury, by e-mail. I look forward in hearing from you.